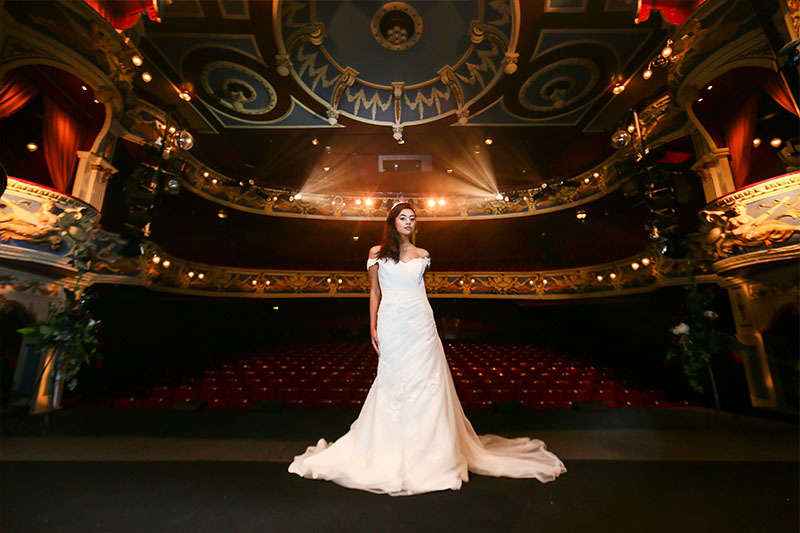 The spotlight is on you with your wedding at the historic Crewe Lyceum Theatre. Steeping history, the Lyceum provides bespoke wedding packages taking place in Cheshire's hidden gem, the historic Edwardian auditorium, and modern reception areas. 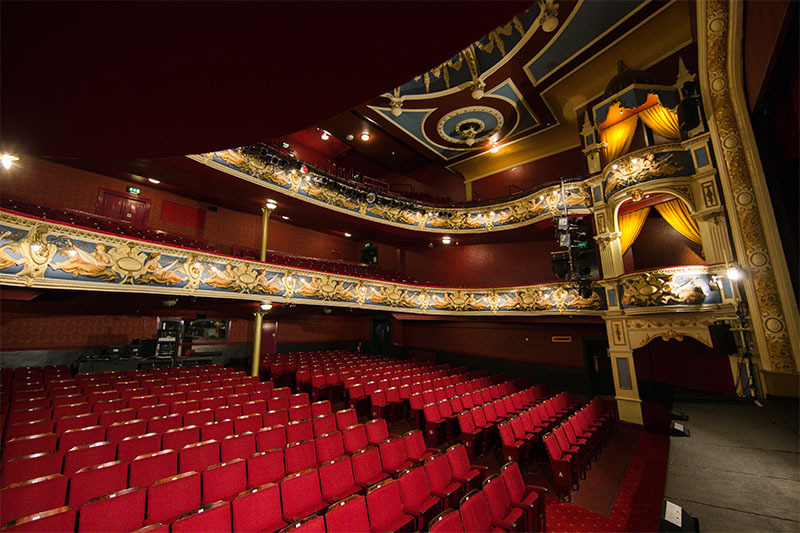 The Crewe Lyceum auditorium is the jewel of South Cheshire. 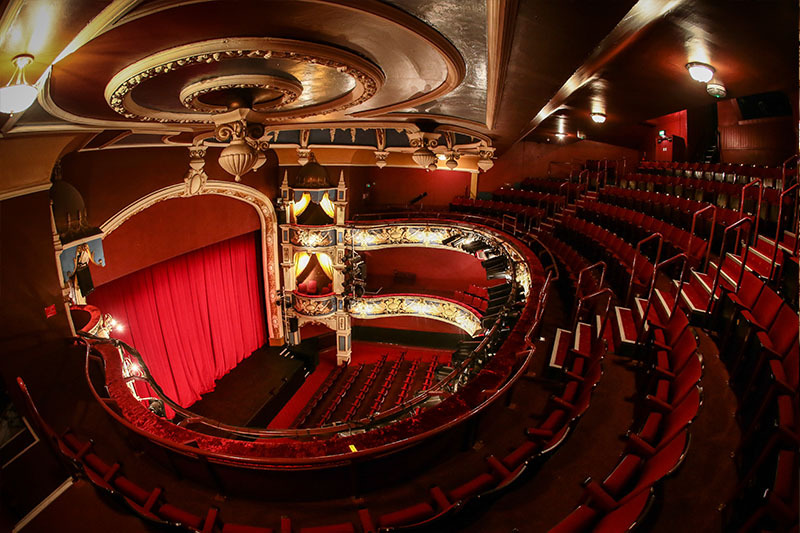 Lovingly restored to its early 20th century grandeur, your celebration starts as you walk up centre aisle to the stage. The dramatic red velvet curtain lifts to reveal your wedding party, a rolling cloud of smoke ushers you into the spotlight. You smile, you kiss, you affirm your love as family and friends look on. In the lavishly decorated Circle Suite, your guests await your entrance and toast to your new life together. 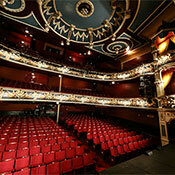 The Lyceum auditorium is licensed for civil ceremonies with a registrar or celebrant of your choice. The Lyceum auditorium can seat up to 660 people, or be intimately light for a charming celebration with your nearest and dearest. Our in-house Technical team will work with you to create the atmosphere you want for the moment when all eyes are on you. 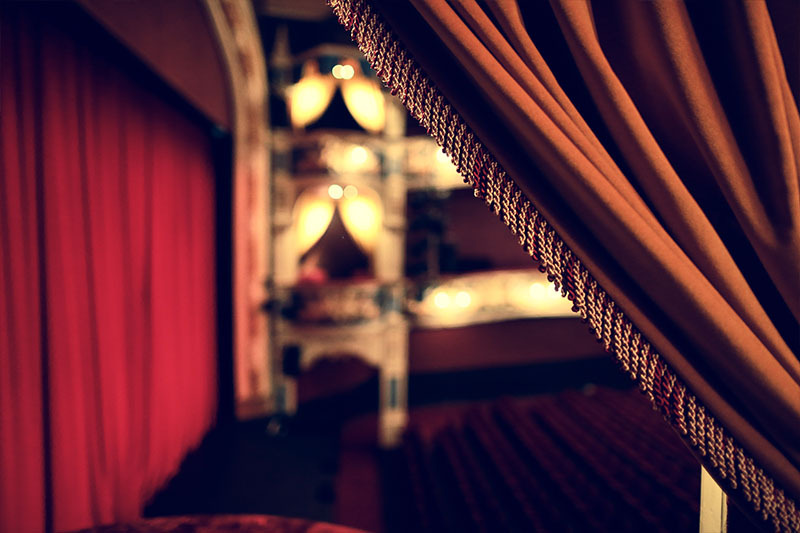 From a West End spectacular, to a classy fringe performance, we can help you set the mood. 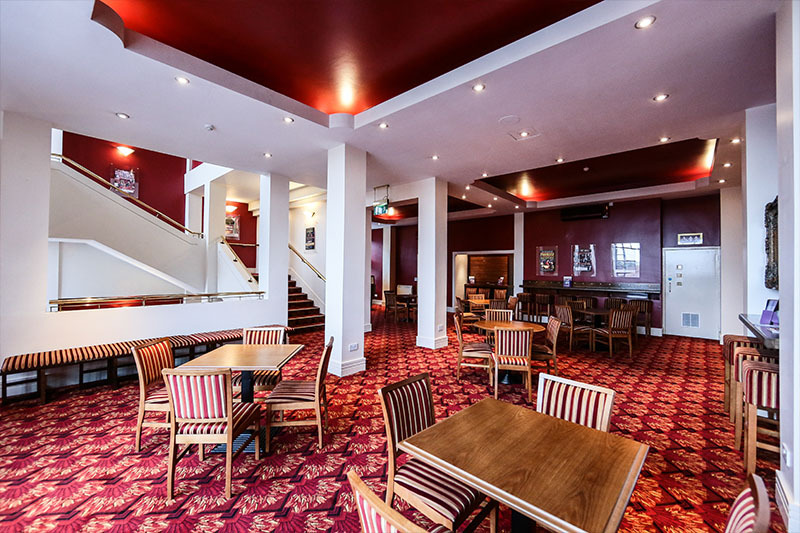 From centre stage to off-stage, the Lyceum Circle Suite can host up to 80 people for your wedding breakfast, 140 people for an evening, or make use of the theatre’s entire space for a party of up to 300 guests. The Lyceum Circle Suite is dramatically light by a full-length two story window which brings the best of daytime light into a versatile space. The Circle Suite can be transformed to match your wedding’s theme and can also serve as an evening function room. With private access, it is your space to see your dream become reality. 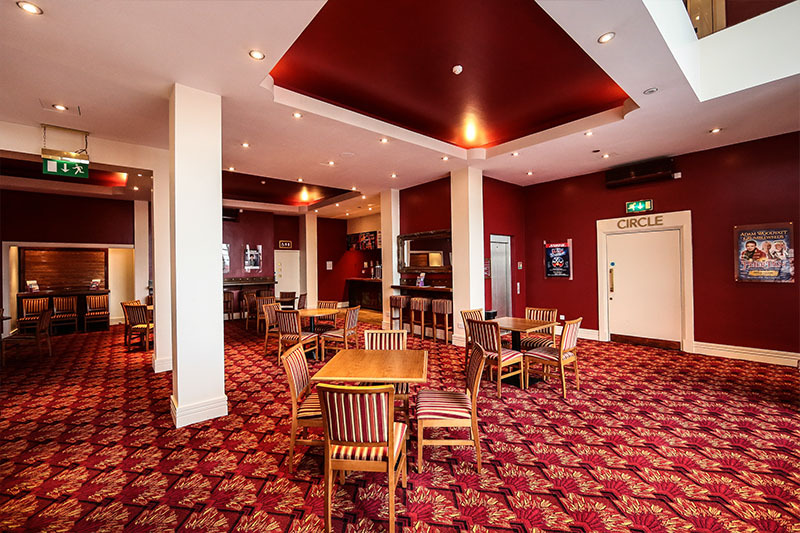 Post-ceremony drinks, reception food or a wedding breakfast can be served in the Lyceum Circle Suite. The Lyceum Circle Suite features a private bar for your party and an historic Bechstein Grand Piano which can be made available for live entertainment. 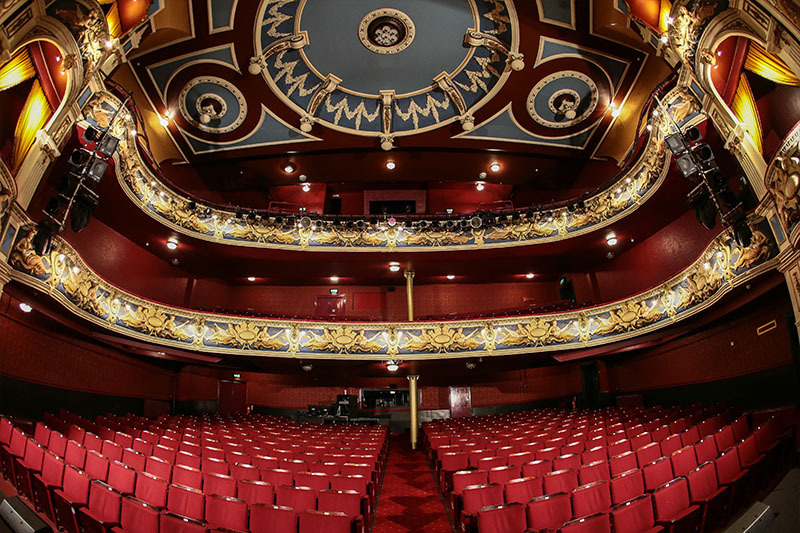 Planning the perfect wedding might seem akin to staging a West End production, but when you have your special day at Crewe Lyceum Theatre we’ll take care of the drama! As a venue the Lyceum will work with you to create the wedding day of your dreams. We specialise in providing value for money wedding packages completely tailored to your number of guests and your budget, and offer discounts on venue hire for late availability dates. 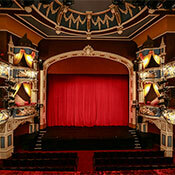 Explore the packages below to see what the Lyceum Theatre can provide, and schedule a viewing of the Theatre to let us help you customise them to suit your unique needs for your special day or create something completely bespoke for your ceremony and reception..
Includes auditorium ceremony, reception drinks and canapés in the Circle Suite. 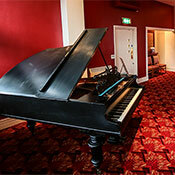 Includes auditorium ceremony, reception drinks and high tea in the Circle Suite. Full afternoon high tea for each guest. Includes a selection of sandwiches, cakes, scones, tea and coffee. 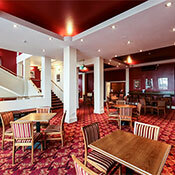 Includes auditorium ceremony, reception drinks and afternoon buffet luncheon. 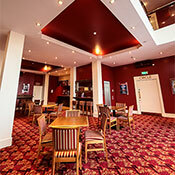 Includes exclusive use of the Theatre, auditorium ceremony, reception drinks and afternoon buffet luncheon. Evening Circle Suite reception with buffet. 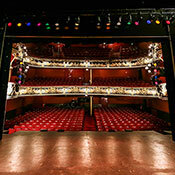 A theatre wedding at the Crewe Lyceum includes catering from our in-house chef. We offer a range of delicious canapés, a classic afternoon high tea, delicious buffet food or the spectacular Lyceum dining experience with a full wedding breakfast. View the sample packages below and book your venue viewing to find out more about how we can work with you to create theatrical dining magic. Catering for weddings, civil ceremonies and receptions.